A few days ago, a friend interviewed me on my “food history” for a class paper. It was really fun to talk about my family history, starting a temple with a new rabbi in the back of chinese food restaurant, and living in a 2 bedroom apartment with an entire other family (yup, 8 people, one bed room). The heart of the interview was the fact that because of all of that history, my food habits were formed. I cooked a cornish game hen in white wine sauce for my mom’s dinner party when I was 10. True story. 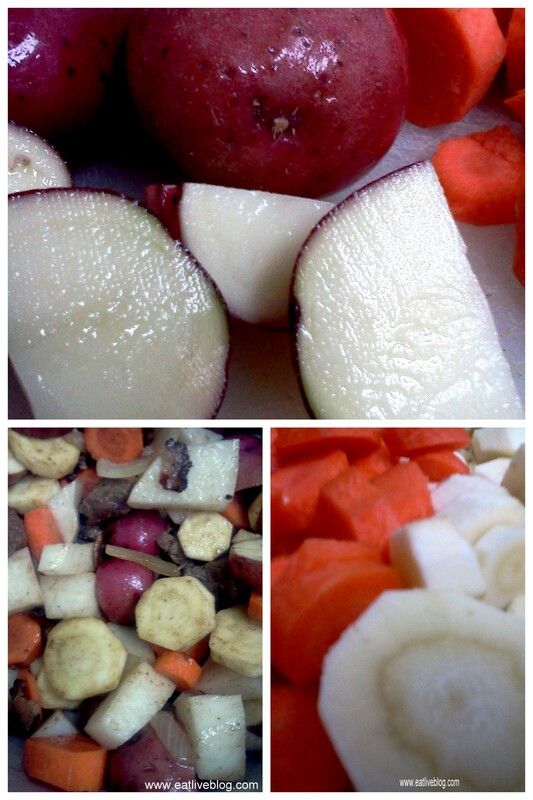 As you can see, cooking is as much a part of my personal history as the town I grew up in! One of my very favorite recipes is for South African Tomato Bredie (a tomato based stew). Traditionally bredie is made with mutton (aka lamb), however, I used beef instead. This is a great, hearty meal, perfect for when you have had record breaking snow fall and are in the middle of an artic snap (ahem…Boston). Serve it simply in a bowl with a spoon, or over egg noodles. rice, or mashed potatoes. Whatever you decide to do with it, rest assured that this meal will warm you up! And also rest assured that I will be smiling knowing that a favorite family recipe is becoming another family’s favorite! Stock Pot- Cover pot and allow to simmer for 1.5 hours, or until eat is tender. Serve in a bowl as is, or over egg noodles, rotini, mashed potatoes or rice! 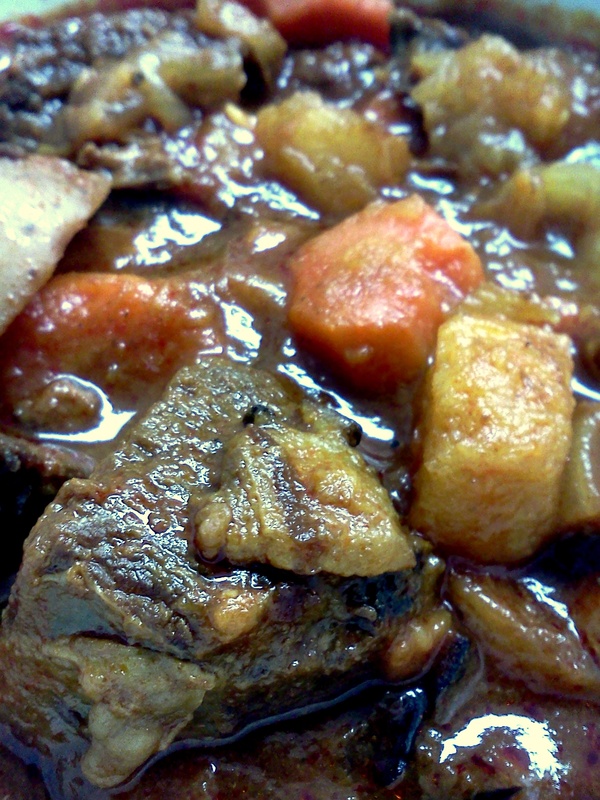 This entry was posted in Recipes and tagged beef stew, blog, blogger, boston, dutch oven, parsnips, pressure cooker, recipe, stew, winter vegetables by reneeh. Bookmark the permalink. This looks fantastic! I love a hearty beef stew, I almost always add tomato paste to mine because the flavor is so fantastic. Obvs this is going on my must try list! Looks delicious! There’s coke in there? Interesting. Thanks Megan! So, coke is a magic ingredient in pot roast and stew type recipes. It gives it just enough sweetness, and tenderizes the meat like you would not believe. It is great to use for brisket too. I have become a crockpot fiend this winter. This will be my next recipe! Thanks so much for sharing! Oh it is great in the crockpot too! I almost add that to the directions. After you brown everything just dump it in the crockpot and let it go! Let me know how it comes out! This sounds delicious! What a beautiful story preceeding it as well! This is definitely going to be saved for a relaxing day of Sunday cooking! 1 cup Pepsi or Coke? Interesting, A nice change of pace from the average beef stew! Thanks so much for linking to Saturday Swap! What a really cool new recipe…. I’m so anxious to give this a try. And I can’t wait to see how the Coke adds to it! I have had an African Style Beef Stew before. A friend of mine tried a recipe from a Crock Pot cookbook that I thought to be excellent and had recommended to her. She served the stew at a dinner party. I actually did a blog post about the dinner party. The stew was excellent and very similar to yours. How cool about your family! Our ancestors did things that we think are totally un-doable today, right? This looks like a hearty dish– and I think some warm weather is coming your way!